Mr. Xu Jiang, president and general manager of China’s XFNano, was kind enough to answer a few questions we had for him regarding XFNano’s graphene materials, technology and business. Mr. Jiang founded XFNano in 2009, and he holds a master’s degree from Nanjing University of Posts and Telecommunications. Q: Hello Mr. Jiang, thank you for your time. Can you update us on your graphene production process and facilities? In 2016, XFNANO put its new production line into operation, which yields an annual production capacity of 50 tons of high-quality graphene powder and 1,000 tons of graphene dispersion. We believe this can meet our customers’ demands for large quantities. Q: Can you detail some commercial applications of your graphene materials? XFNANO has developed a variety of graphene nano-platelets that can be applied in next-generation energy applications, anti-static and anti-radiation coatings, composite materials with improved mechanical strength and conductive, various paint modifiers and more. Q: XFNano also produces Graphene Oxide. Do you see any commercial adoption of GO? In what kind of projects do you recommend that GO be adopted and not graphene? One of XFNANO’s customers, for example, used our graphene oxide in a research work (that was published in Advanced Materials). In this group’s work, Ni was combined with MnO species, to form a unique 3D porous graphene aerogel‐supported Ni/MnO (Ni–MnO/rGO aerogel) bifunctional catalyst prepared via a facile and scalable hydrogel route. Remarkably, the resulting Ni–MnO/rGO aerogels exhibited superior bifunctional catalytic performance for both ORR and OER in an alkaline electrolyte, which can compete with previously reported bifunctional electrocatalysts. Graphene oxide is mainly used in the industry for lubricants, nylon modification, etc. In fact, similar products have already been for sale on the Chinese market for years. There are, however, two main differences between graphene oxide and graphene in applications: Graphene is conductive whereas GO is not, and graphene is hydrophobic as opposed to the hydrophilic GO. Graphene oxide is thus also suitable for some coupling reactions or areas with high solubility requirements. Q: XFNano also produces high-quality graphene sheets using a CVD process. What kind of applications do you target with these graphene sheets? Customers who request our CVD graphene mostly come from various universities around the world, and the applications they generally use these sheets for include sensors, flexible displays, non-linear optics, and more. Q: XFNano also produces other 2D materials, such as MoS2 or WS2. Are these used in any commercial products? What kind of applications benefit mostly from these types of materials? Monolayer 2D materials such as MoS2 or WS2 are currently mainly used in scientific research. However, muitllayer MoS2 or WS2 can be used in commercial products，like in the lubrication field, where they offer the advantages of good dispersibility and non-adhesion, and can be added to various greases to form a non-bonded colloidal state, which can increase the lubricity and extreme pressure of grease. Q: We hear there are thousands of companies in China developing graphene-enhanced products. 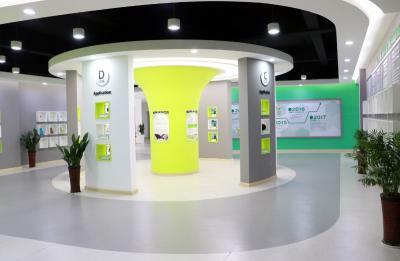 Do you have any information regarding the size of the Chinese graphene market? Projections relating to China indicate that by 2020, graphene in the field of conductive ink will reach 500 million yuan and in the field of anti-corrosive coatings will reach 5-8 billion yuan. It can create a 15-20 billion market space for graphene heat dissipation film. Q: How do you see the graphene market in China, and globally, evolving in the next 3-5 years? The graphene market in China, and in other parts of the world, may hopefully experience significant breakthroughs in the near future. It is expected to reach advancements in the fields of new energy vehicles, conductive inks, anti-corrosive coatings, cooling materials and more. Q: Can you tell us a bit more about your company? How many employees are currently working at XFNano, what is your organizational structure? 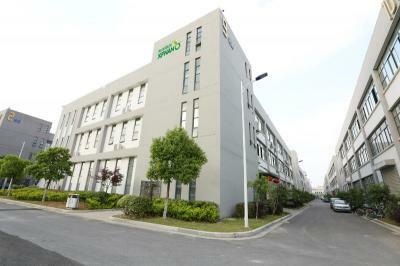 Nanjing XFNANO Materials Tech Co.,Ltd ( XFNANO) was founded in 2009, which is the earliest graphene enterprise registered in the “National University Science Park of Nanjing University”, mainly focusing on the R&D and manufacture of graphene, carbon nanotubes, and molecular sieves. we are dedicated to being one of the best graphene suppliers in the nanometer material field. XFNANO has an excellent technical team formed by around 10 doctorate-holders and some masters, and we have a very close relationship with the national university laboratory in America, Singapore and some other renowned labs in China. 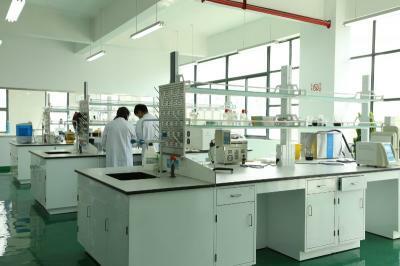 In 2016, XFNANO had invested 50 million yuan establishing the "Jiangsu XFNANO Materials Tech Co.,Ltd" in the state-level Jiangbei New District, Nanjing Pukou Development Zone, construction area of nearly 4,000 square feet, formed the advanced manufacture and technical service center from the whole process of operation, research and development, pilot until production. We now have more than 50 formal employees, with three operating systems like the business operation system, the R&D production system and the functional support system. Each system has its related independent management departments, covering sales, warehouse, purchasing, R&D, production, finance, Information and market and HR. Q: Where do you see XFNano in 3-5 years? What role will you play in the graphene industry? In the next 3-5 years, XFNANO's graphene will be sold commercially, continuously promoting the large-scale application of the downstream industry. In 2020, the sales will break through 100 million yuan, and IPO is listed in our plans. In the near future, we hope to play the role of leader in the field of industrial graphene, continuing to promote the development and progress of graphene industry. Q: What kind of graphene applications are you most excited about? We are very interested in the application of graphene in the field of new energy. Due to its high specific surface area, good mechanical properties, conductivity, heat conduction and other characteristics, the application of graphene in the automotive field will become more and more significant. Thank you Mr. Jiang, I wish both you and XFNano the best of luck!